- The bug #623 about some parts at ground level that shouldn't appear is fixed. That is great. There is another thing I have wondered about with the ground cutout too, but it may not be a bug. 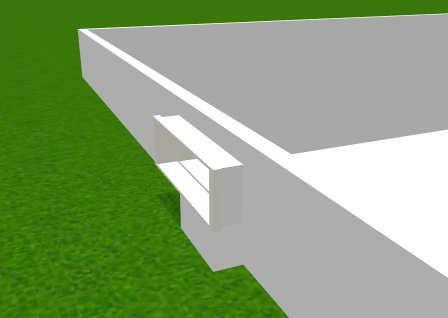 Furniture (windows) on subterranean levels will cutout ground below, even if they are above ground. Put the file in #623. PS The rest of my rambling was just a set of loose thoughts anyway, not to be taken too seriously. Also, the SVG "clean" export is hardly vital. In my mind it would be the outline of walls/furniture without graphics, like a clean plan to embed in a web page. But I guess anyone who needs it can remove the images and edit text manually or with InkScape. Or easier, just use the .png file to display the 2D plan. PPS I meant, of course, 5.1 beta 1 and 2.